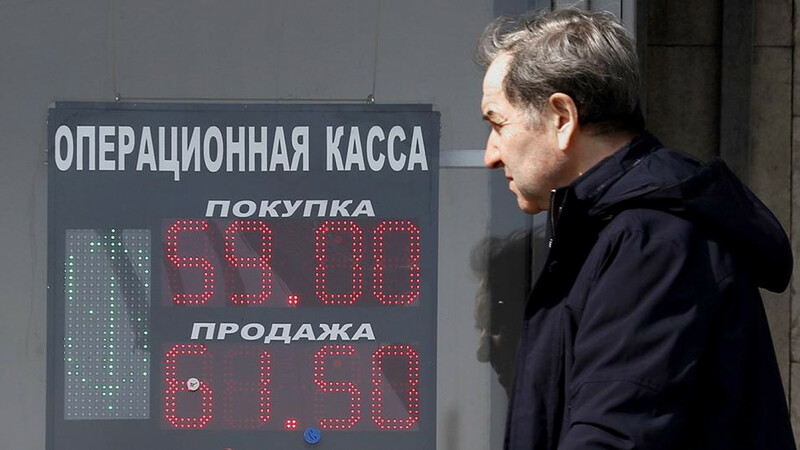 The rising Brent oil prices, benchmark for Moscow's flagship Urals oil pricing, which were up by 1.3 percent in early trading, did nothing to help a recovery for the ruble. "While the general backdrop remains uncertain and the threat of further sanctions is unclear, we believe the Russian market is near a temporary floor," Alfa Bank said in a note. "We note that the fundamentals surrounding the Russian market remain mostly unchanged and that Russian equities still provide among the healthiest dividend returns globally. We would thus ignore the current jitters and buy into the current weakness, particularly with dividend season almost upon us." 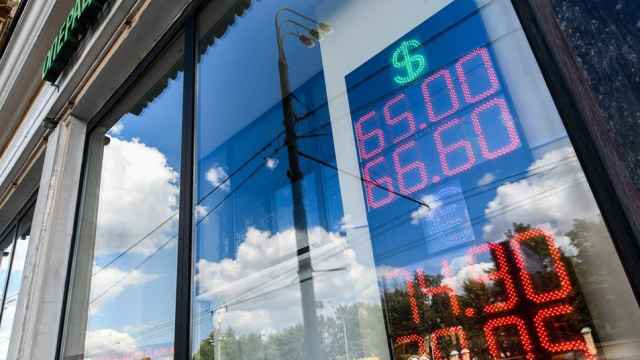 Nabiullina, who had to deal with a sharp ruble drop at the end of 2014 amid the first western sanctions, told a forum that the central bank had a wide range of tools at its disposal with which to address the risks. No risks were seen for now to Russia's financial stability, she said. "We tend to believe that the impact on economic growth ought to be fairly limited given that Russia has already deleveraged, and economic policies of the recent years ensured stabilization and de-risking of domestic economy," Renaissance Capital analysts Oleg Kouzmin and Daniel Salter said in a note. The dollar-denominated RTS index was down by 4.2 percent to 1,049 points. The ruble-based MOEX Russian index was 1.35 percent higher at 2,119.0 points. Russia's 5-year credit default swaps rose to six-month high, widening from Monday. 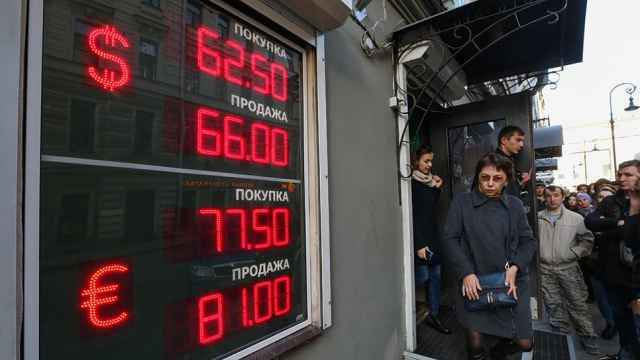 On Monday, the ruble suffered its biggest daily fall in more than three years and stocks in major Russian companies also slid, as investors reacted to a new round of U.S. sanctions targeting some of Russia's biggest tycoons. 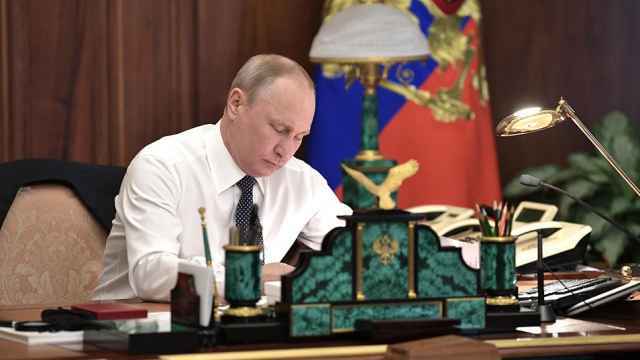 The United States imposed sanctions on seven Russian oligarchs and some of their companies on Friday, including Viktor Vekselberg's Renova and Oleg Deripaska's En+ Group , Rusal and some other assets.